Our new LUND Ventvisor Elite, made in the USA, introduces a new material composition that sets a new industry standard for performance, style and durability. The product’s in-channel mounting and low profile design provides a flawless fit and window functionality and installs in minutes. The high-performance material is thicker, stronger and more durable, resulting in a scratch and heat-resistant product in the harshest of environments. 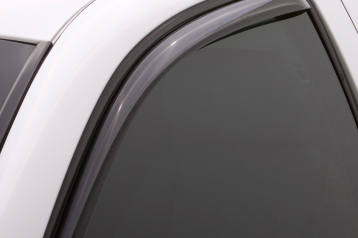 With the Ventvisor Elite installed, you and your passengers are able to let the fresh air naturally circulate through open windows while keeping the rain out. Each Ventvisor Elite is precision-engineered and handcrafted with sculpted, rounded edges and a custom in-channel fit for almost any vehicle. Our new patent-pending design features a scalloped flange seamlessly fitting into the window channel to ensure full window functionality. 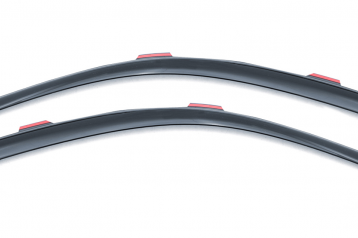 The OE-appearing finish, achieved through LUND’s new proprietary color blend and high-performance material, complements most OE window tints and provides superior optical clarity.